We just got back from our honeymoon part one to Maui! We delayed our honeymoon until 2 months after our wedding, as it made more sense to break up the vacation time and it also gave us time to feel settled after the wedding. We spent 5-6 days in Maui and stayed on the west side in Kaanapali Beach, but we had a car so we explored the rest of the island, too. 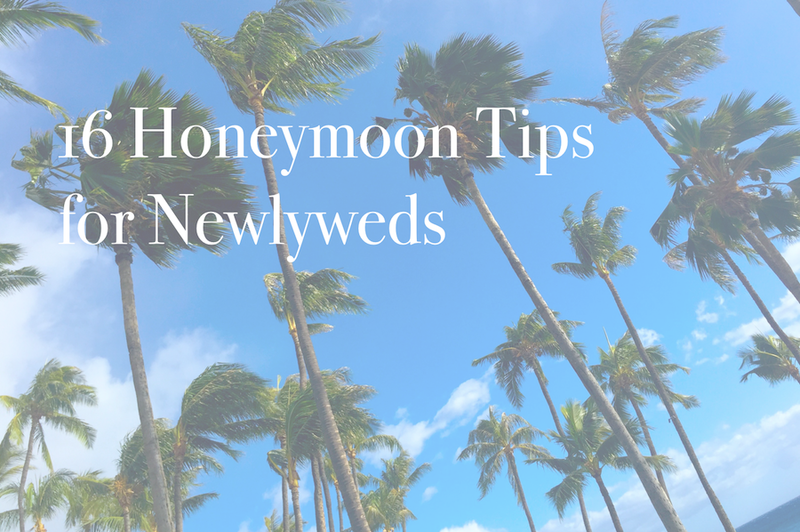 Below are 16 tips for other newlyweds embarking on their honeymoons! And stay tuned for honeymoon part two.... Cabo San Lucas! We will be there for 9 days in November. 1. Set a date for your honeymoon before your wedding. Even if you don't have your honeymoon right after the wedding it helps to have it scheduled even if its 1-2-3 years away. I've met so many people that postpone their honeymoon indefinitely and then feel disappointed when it never happens. 2. Clean your house impeccably before you leave for your trip... or schedule a cleaning lady. The last thing you want to think about on your honeymoon is the huge mess you will come home to. All it takes is a little planning and you can come home to spotless bathrooms, a clean refrigerator, laundry washed and put away, meals prepared ahead of time in the freezer, clean sheets on the bed, and everything in between. 3. Get an airbrush tan before you go. Is it just me or do you feel happier, more toned, and more confident when you have a nice tan? 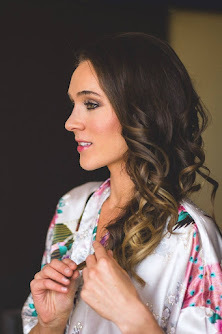 Rather than frying your skin on vacation and dealing with an uncomfortable sunburn go for an airbrush tan instead. My husband and I both got one (yes, I know I'm lucky). My tip? Check Groupon for great deals on airbrush tans. We got ours for $15 (discounted from $40). A more important tip? 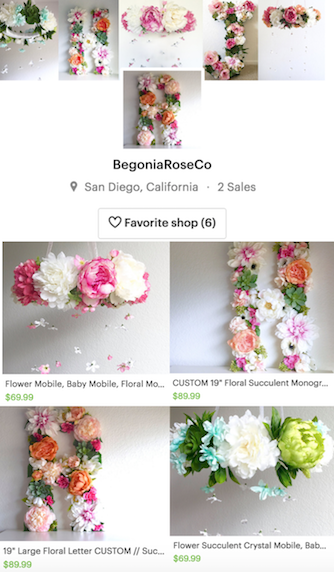 Check the Yelp reviews before you purchase that Groupon. Airbrush tanning is so hit or miss. 5. Keep your expectations in check. 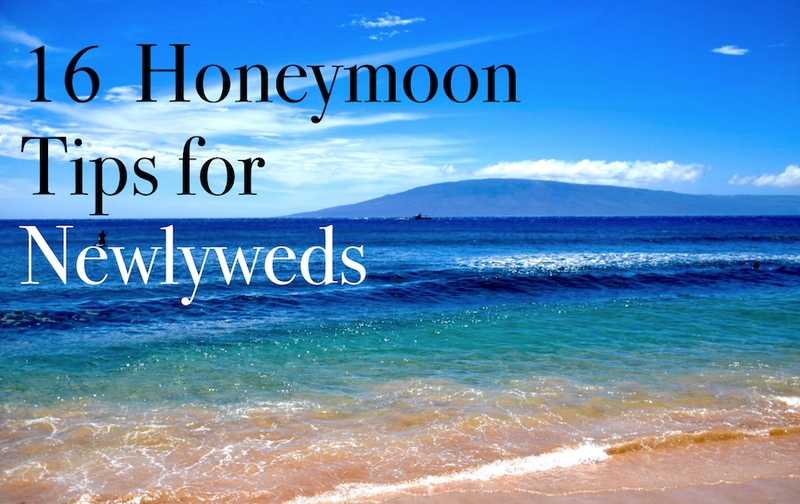 The word "honeymoon" is loaded with expectations. A lot of people imagine that their honeymoon will be the most romantic week of their life. I'd rethink that one. That puts a LOT of pressure on you and your n ew spouse. It doesn't leave much room for the sore feet, the headaches, the hungry tummies, the tiredness, the sun burns, and other hiccups that happen in real life. 6. Discuss vacation priorities beforehand. Ask each other the question, "What are 1-2 things you would regret NOT doing on our trip?" Is it hiking? A fancy dinner? A day at the beach? Surfing? Seeing a particular site? Getting massages? Know ahead of time what your must-see's and must-do's are. 7. Tell people that it's your honeymoon. It will score you free upgrades! You can get better seats on the plane, a better hotel room view, rental car upgrades, complimentary drinks, and more. Don't be shy! 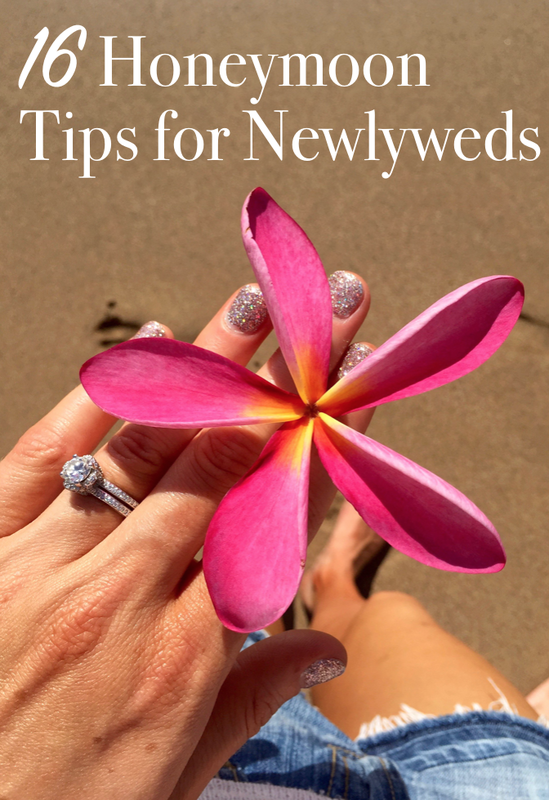 People generally LOVE helping newlyweds celebrate. 8. Don't plan out every single day. The last thing you want after a tightly planned wedding is a tightly planned honeymoon. This will leave you more exhausted at the end of the trip than when you arrived. Keep a couple of days open for sleeping in, going back to explore a certain area more, or simply having the freedom to go with the flow. You want to leave feeling rejuvenated, not drained. 9. Go to a timeshare presentation for free gifts! Our hotel, the Hyatt, along with most of the other hotels along Kaanapali Beach, were soliciting couples and families to invest in timeshare options. In exchange for attending a 60-90 minute presentation on the timeshare you can choose from amazing gifts. Our hotel offered a $150 spa credit, a $100 hotel credit, $300 towards golfing, a sunset dinner cruise around Maui, or Luau tickets valued at $240. We opted for the Luau. 11. Ask strangers to take photos of the two of you together. I know, I know, it can feel awkward to ask strangers to take photos for you. 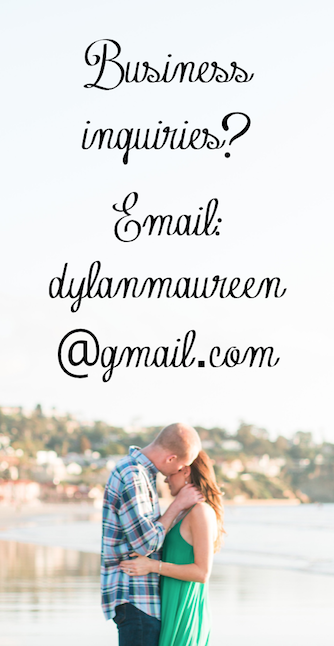 You could also set up a professional photoshoot ahead of time with a local photographer. We only got two "non-selfie" photos together on this trip, and I wish we would have taken more. I think I'll set up a photoshoot for our honeymoon part II in Cabo. 12. Keep your cell phone and laptop at bay. I'll admit it, my husband was a little worried about my ties to technology before our trip to Maui. For better or worse, I want to be reachable 24/7 in case someone needs to reach me... side effects of a traumatic childhood I suppose! I made a concerted effort to limit technology on our trip to Maui. It helps to leave your phone in the car or hotel room when you go out to eat or do activities. Just remember to bring along an old-fashioned camera for the photo-ops. 13. Think ahead and schedule your next trip after the honeymoon. It really helped that we scheduled trips for the three months following our trip to Maui. It helps alleviate the "post-honeymoon letdown" and gave us more adventures to look forward to. 14. Take too many pictures. Snap way more photos than you think you should. You won't regret it. 15. Go places and do things that you can't do with small children. Stay out late drinking mai tai's, wear your teeny tiny bikini, get a couples massage, treat yourself to fine dining, go on an all-day scuba diving adventure... even consider an adults-only resort! Who knows, someday your vacations might consist of kiddie pools, sand castles, nap time, and kid-friendly restaurants. 16. Don't compare your honeymoon to other people's honeymoons. We all see friends and family posting pictures of their honeymoons and vacations, but don't use these as a point of comparison. Some of us prefer backpacking through Europe, some of us prefer a cross-country road trip, some of us prefer an exotic resort, some of us prefer Disneyland, and some of us prefer a staycation. Feel at peace with whatever you decide as a couple. This is your time. It doesn't matter what anyone thinks.